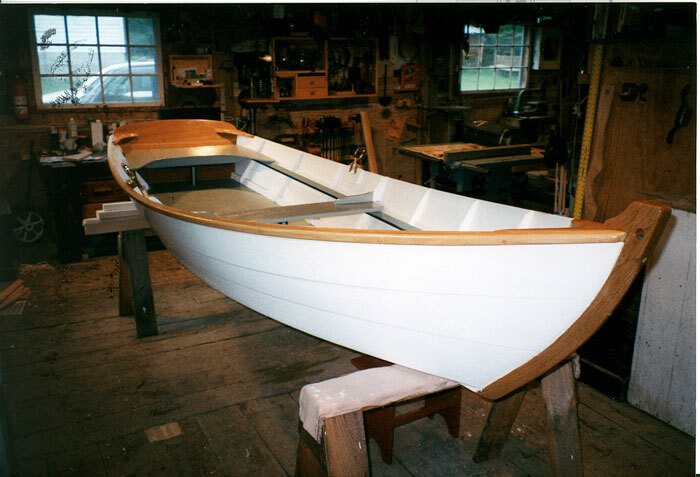 After taking a class in the fundamentals of boatbuilding at WoodenBoat in 2001, Bob Gagnon built OLIVIA, using Richard Kolin's book "Traditional Boatbuilding Made Easy: Building Heidi, a 12-foot skiff for oar and sail." 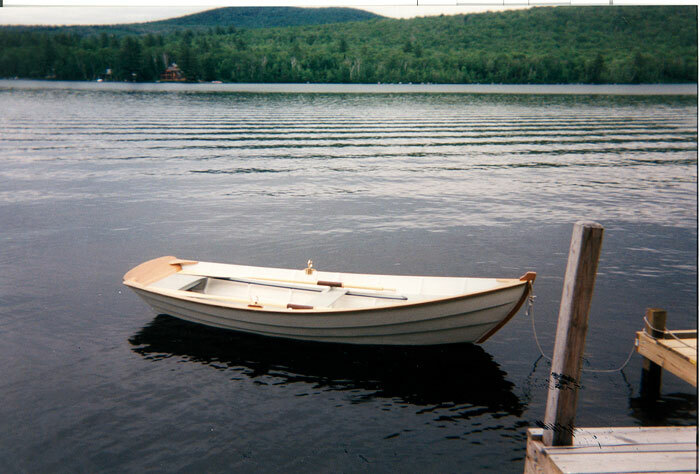 Bob Gagnon writes "OLIVIA spends her time at our camp on Lake Groton, VT She is dry, nimble, and quick, and her dory bow makes short work of boat wakes which abound on weekends." 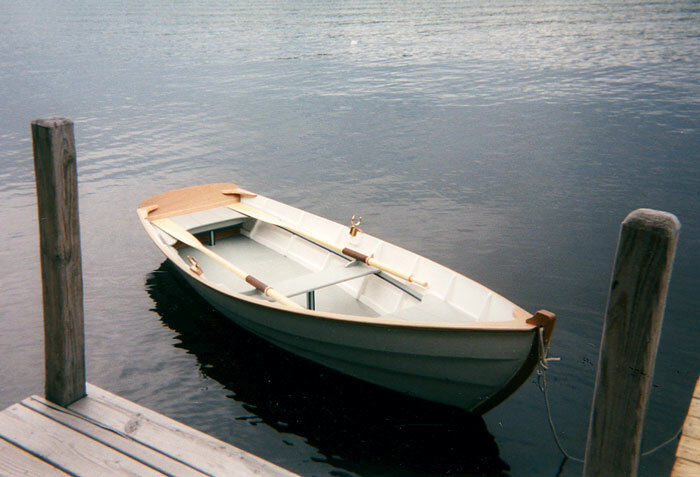 He chose that plan because his wife wanted a stable boat, with a 47" beam for her 12' of length, OLIVIA provides that stability. Bob named the boat for his granddaughter, Email Bob at rwgagnon@tds.net.